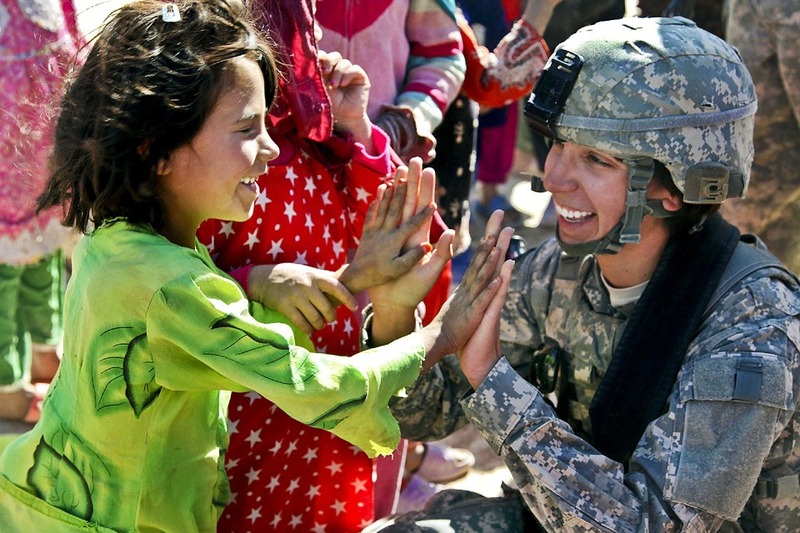 A military career can be an excellent opportunity for many women seeking a career. There are various branches of the military to consider, including the Army, Navy, Air Force, Marines, and National Guard. Joining any branch of the military is a serious decision, and it is not a field to enter into without careful thought and consideration. However, it also important to remember that there are a large number of positions available in that military do not involve direct combat. There are military careers available in infrastructure, medical assistance, and work in legal help. A reserve career is also an option of part-time military work that could be undertaken with regular, civilian employment. Joining the military can have benefits not just in salaried pay but in terms of insurance, housing, and post-secondary tuition support for your education. In order to get started, locate a recruiter. Recruiter locator services can be found by internet search for a military recruiter in your local area. You can begin by calling in or by a visiting a center to set up an appointment with a recruiter. Prior to seeing a recruiter, there are a number of questions you want to consider. According to Today’s Military, it is recommended that you ask about the specific role of the service branch you are considering and what makes that service branch different from the others. Today’s Military also recommends that one consider asking a recruiter about what goes on in basic training and its physical requirements and also to inquire about what drill instruction would look like. You can also research important questions about salary, benefits, and tuition support at Today’s Military. It is important to keep contact with your recruiter during the full duration of your process and consideration of joining the services. It is important to get as much information about the branch and career you would be entering as you see your recruiter. The ASVAB (Armed Services Vocational Aptitude Battery) test is an examination necessary to pass in order to join the U.S. military. You can pass this test with study and practice regardless of your current knowledge of the assessed skill areas. The ASVAB test itself is divided into a number of sections, including arithmetic reasoning, word knowledge, paragraph comprehension, general science, and math knowledge. Likewise, there are subsection tests in auto, shop, electronics, and mechanical comprehension. It is important to note that there are tutors, counselors, and study aids to help you prepare for this examination. ASVAB tutors are available online, and there is a wide variety of free ASVAB practice and help on the internet. Likewise, there are books available for purchase in store or for free through your library to help you study. If you attend school, consider asking a counselor available in guidance or someone at your student center for help. If you fail the ASVAB, you have a month to retake it. If you fail it again, you have to wait six. It is important to go to the test well rested and prepared. The official ASVAB site recommends that during the test, you answer easy questions first before answering difficult ones. The Official ASVAB site also recommends watching time during the taking of the test. It is better to answer a question than to submit a blank answer. Mastering this test, like any other, will just take practice and study; do not get discouraged. Joining the military can be a great career option for those who wish to serve and protect our nation. It is a challenging but honorable career path that provides benefits for your future and that of your family. If you feel that this is a career path that you feel passionate about, march forth and pursue it.